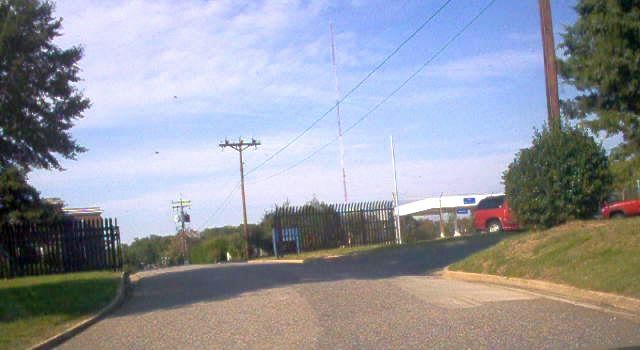 From VA 339's southern end. The furthest one can drive is just past the first fence you see (where you would turn left through a parking lot to loop back around). Photo by Mapmikey, taken 10/18/05. 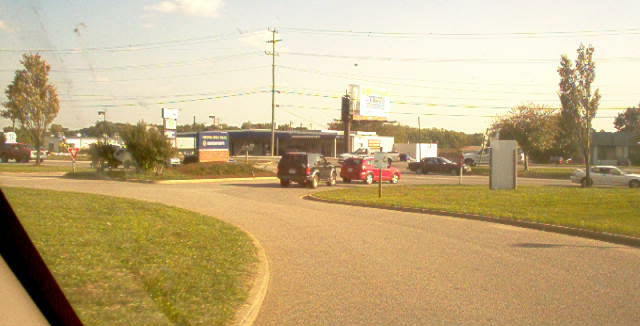 Looking at VA 339's south end at US 60. Photo by Mapmikey, taken 10/18/05.